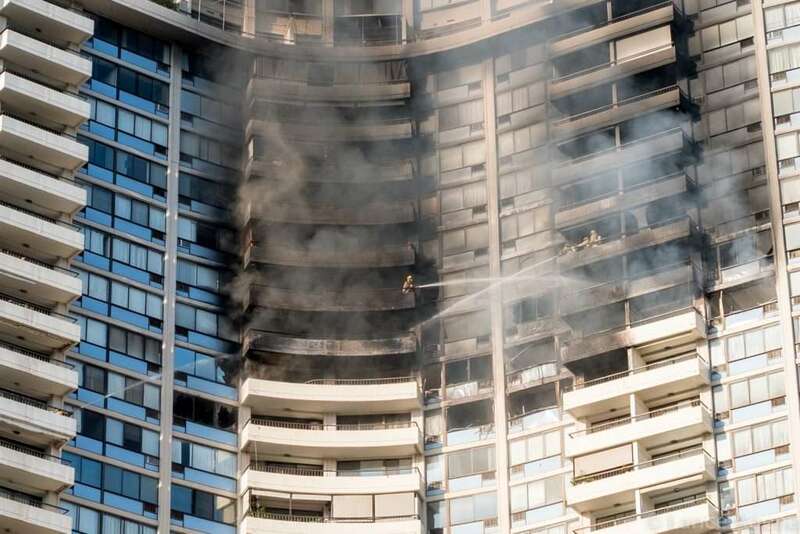 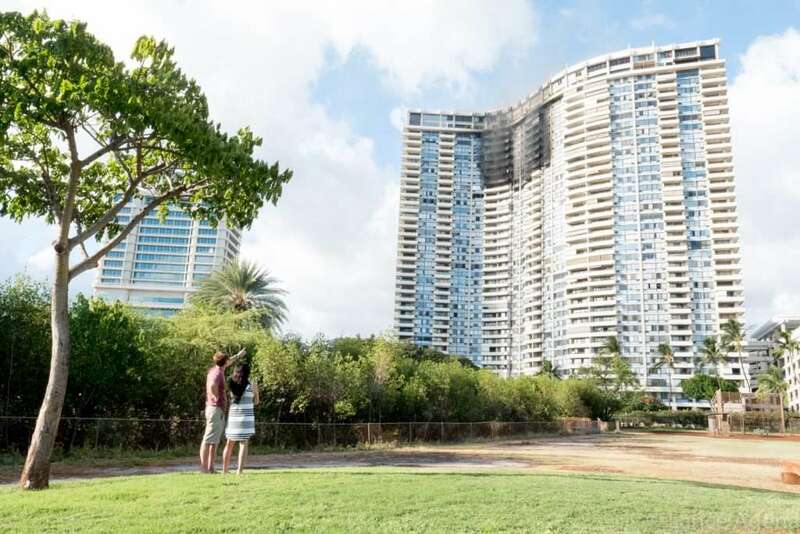 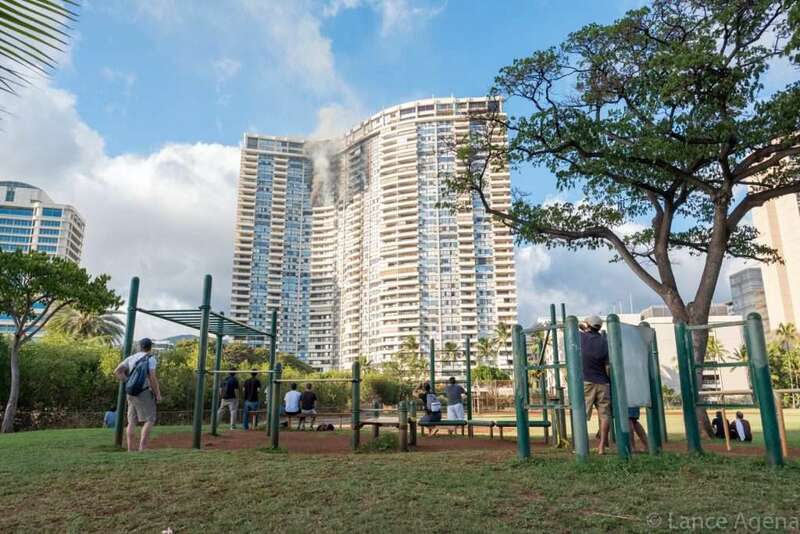 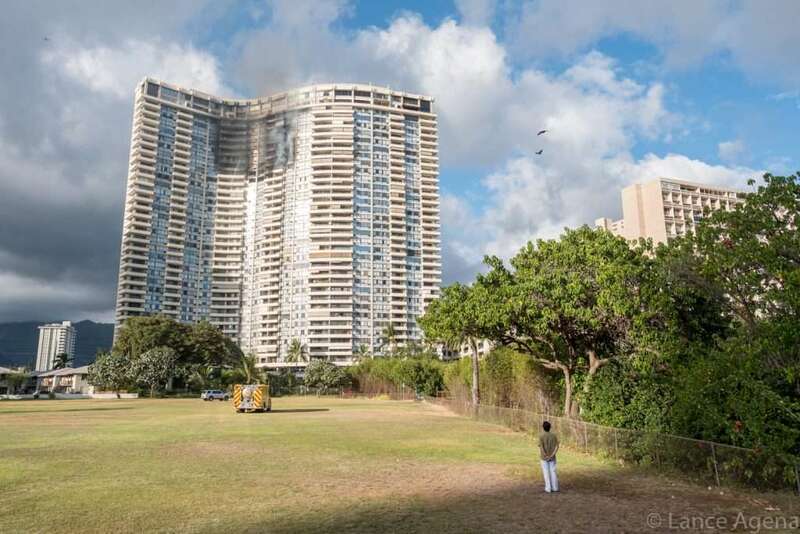 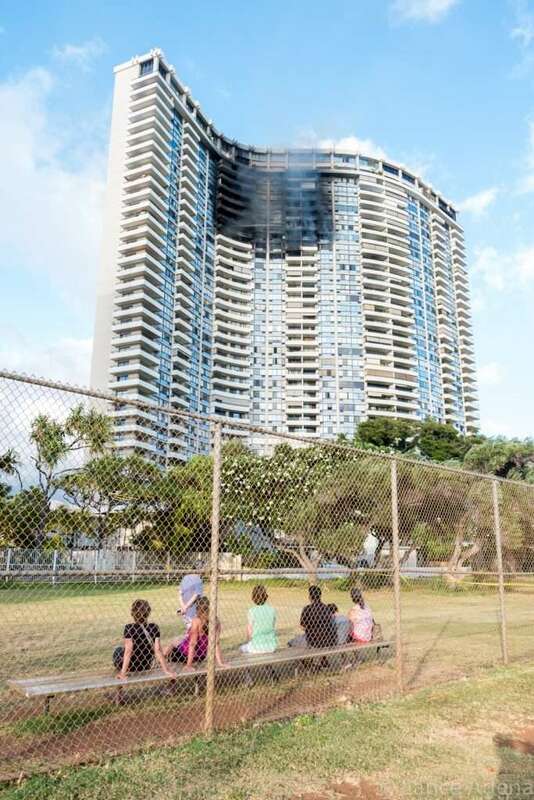 A large fire broke out at the Marco Polo condominium building on Kapiolani Boulevard today. 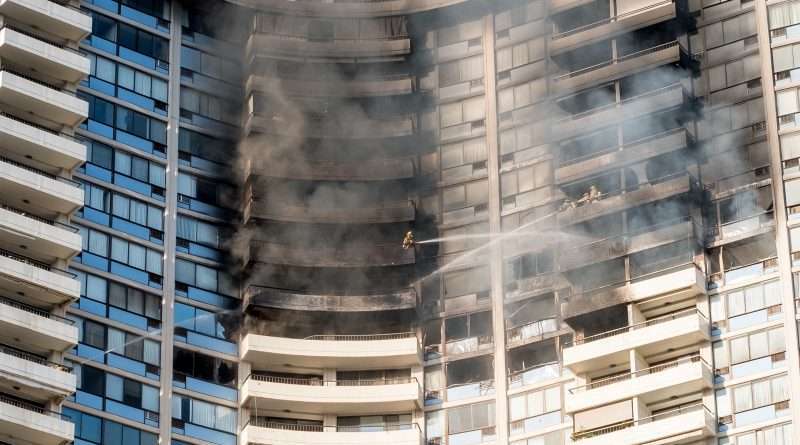 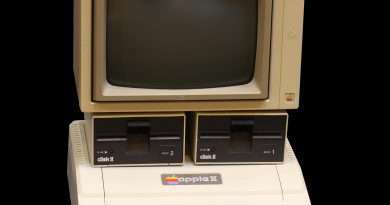 According to news outlets, the call came in at 2:15 and ended up needing five alarms to get it under control by 6:30. 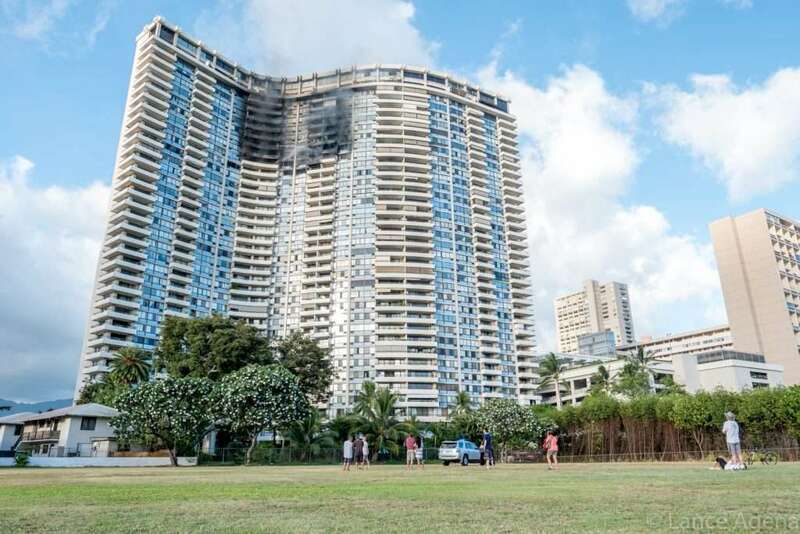 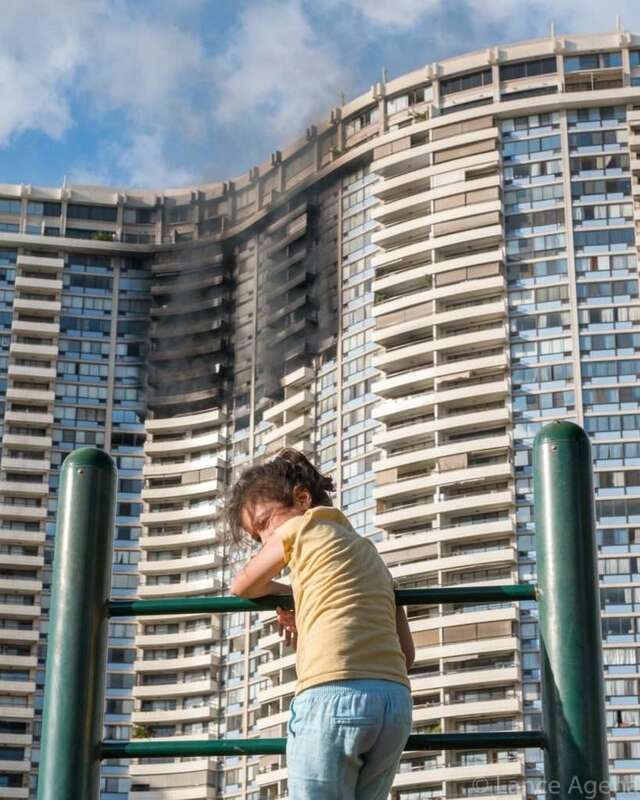 In the end, the fire damaged the 26th, 27th, and 28th floor and claimed the lives of at least three. 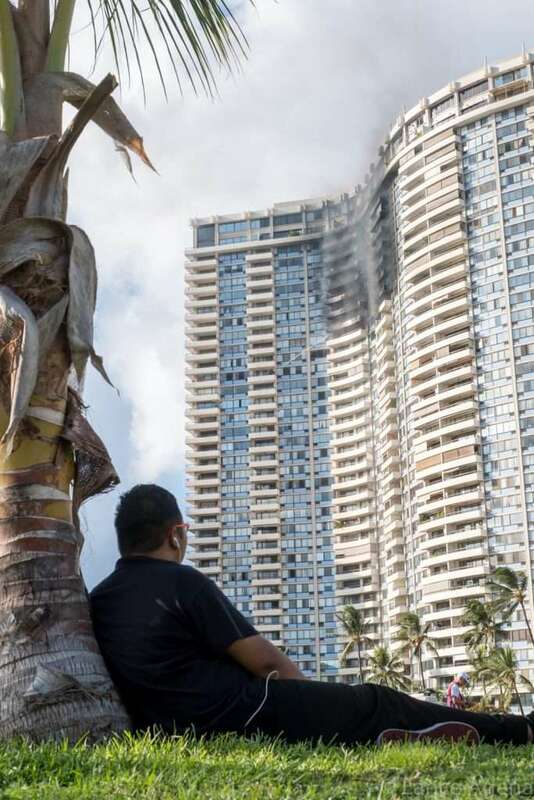 Big mahalo to the brave fire fighters of the HFD and other responding agencies, including the Red Cross who is helping residents who were displaced.